Hello fellow members, As some of you may know my name is Serge. 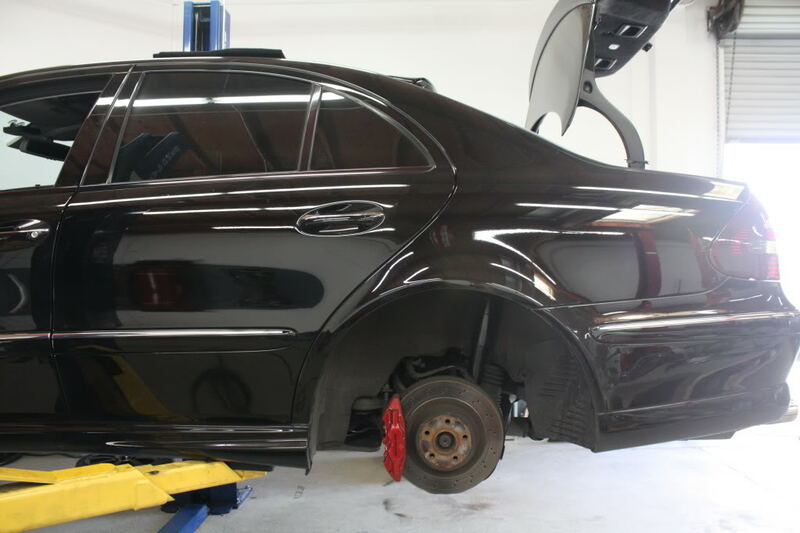 I own a shop in SoCal that specializes in Mercedes Benz. 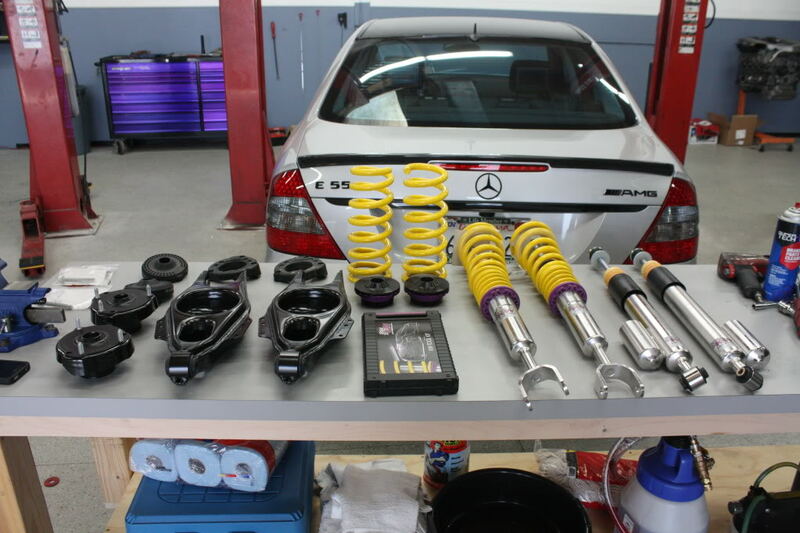 Wanted to share with you another Coilover swap on a 211 E55 AMG. This is the 3rd one. 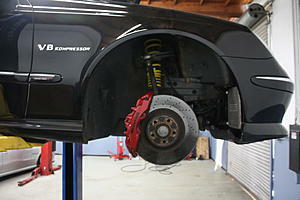 First, released air in suspension with SDS. 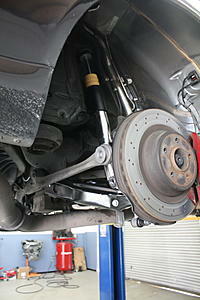 Removed all struts and bellows. 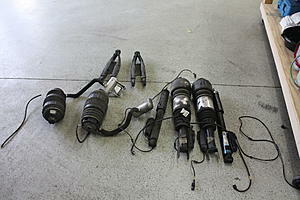 Ordered the correct parts for installation. 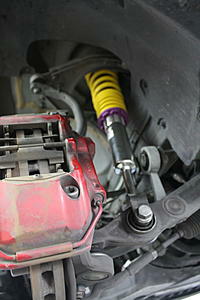 Installed Coilovers, adjusted height and dampening. Re-programmed the Instrument Cluster, Central Gateway and EIS. No gremlins or problems with install. Great Job Serge, and very nice of you to share with the community! Since there is a lot of people that want the parts list. Please PM me and i will gladly pass it on. Good stuff, Serge. Sun seems pleased with his setup. Appreciate you sharing your expertise. Please send me a PM, approximate cost of conversion? How does this affect the ride quality/smoothness of our 211's? Does handling improve? 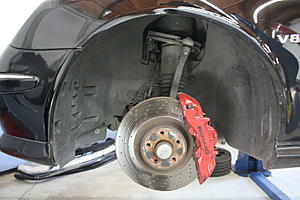 As everyone knows, Serge installed the first set on my car. The car has about 8,000 miles since the install and has gone to 3 track events. Chuckwalla Raceway, Streets of Willow, and Laguna Seca Raceway. Still have to go back to Buttonwillow to get a new time with the coils. I still have plans to hit A LOT more tracks in the coming months. I've thrown the car around quite a bit and put it through it's paces. The car runs absolutely GREAT! The car handles day and night compared to the crapmatic. Ride quality is a little stiffer but that is because I have it set pretty stiff. (14 out of 18, 18 being stiffest) I'm sure if I were to switch the dampening to a softer setting, it would ride just as well as the crapmatic. Thanks to Serge, I hope the rest of the 55k community can one day feel the difference in their own 55's one day if they choose to do so! Last edited by BenzoBoi; 08-13-2011 at 03:04 AM. 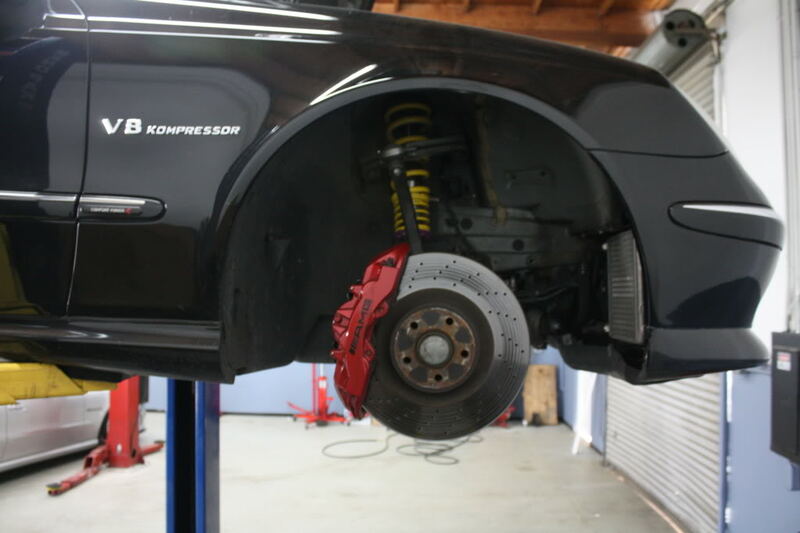 Looks good, now sell that customer some brake rotors while it's up in the air. Awesome build!! Sun took me for a ride in his car and I was shocked at the amount of grip the car had!! Very planted during turns and virtually no body roll! Definitely a must when the car sees track time. For all the inquiries about the parts list, I will reply very sorry for the delay. Very thankful for your efforts Serge. If I lived on the West Coast I'd be a customer. Thanks Serge We do realize why you didn't release it earlier due to business and that's totally fair which makes it even the more nicer and friendlier to share with the community, RESPECT! 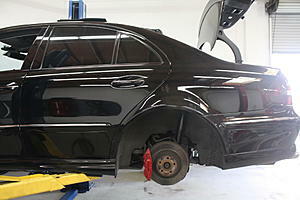 Can you do it on a E63?? I am not ready yet but, curious. I'm sure he'll answer you but personally but I don't see why it wouldn't. Would be nice if a lesser expensive set of coils were released. I remember paying $800 for megans on my ls430, and they honestly rode great!! Has anyone gotten a reply via PM about the parts list? Just curious to get the details and pricing info if anyone's seen it. Nope PM'd him on Saturday. I'm having issues with the rear end sagging after sitting a day or two so instead of the expense of replacing two shocks and two airbags I think I could buy the whole kit for less.